I haven’t much perused fashion blogs for some time now — in the last month at least I’ve reserved most of my allotted blog-reading for Days of Rage, the reinvigorated Wisconsin labor movement, Republican attacks on reproductive health and public education, and the spectacular fallout from the Sexual Nationalisms Conference in Amsterdam. But by chance I visited Fashion Toast, where photographs of the Pamela Love Fashion Week presentation at Milk caught my eye. These photographs and the models’ styling put me in mind of a ’70s occult film, the sort where a convent of devout nuns, uncannily situated atop a cliff in the wild British countrywide, is revealed to be the nefarious disguise for an ancient clan of Pictish priestesses! Awesome. From Fashion Toast, of course! Though [China and Korea’s] fashion industries are fledgling yet, the transformative effort has plainly provoked anxiety within the Euro-American fashion industry; Nguyen Tu notes that the latter has subsequently striven to define itself as a global innovator by reinforcing the industry’s creative vs “unskilled” dichotomy. Euro-American designers are embracing technology, ever-reinventing familiar motifs and further distancing themselves from the mass-producing masses in an effort to maintain their global dominance. Indeed, the defensive posturing and industry angst to which she alludes were in full swing at this year’s Fashion Week — in the self-aggrandizing speech of designers, on the ultra-modernized backs of models, and even in laudatory mainstream reviews. Commenting on Ralph Lauren’s collection, for instance, the New York Times’ Suzy Menkes repeatedly juxtaposed descriptions of the designer’s Shanghai-inspired aesthetic with disparaging references to the “fast fashion factories of today’s China” and Asia’s “Made in China”-quality mass productions. Despite what we’d like to think, in much of the world, glamour, style and Western-appearance are not synonymous with democracy and freedom. Many of the most brutal regimes in the world are run by families who were educated at fancy universities in England and America, do their shopping in Paris and their vacationing in Saint-Tropez, while back home attack helicopters are gunning down peaceful protesters. While it’s unlikely that Vogue consciously timed the piece now to coincide with the current wave of protests sweeping across the Arab World, the article’s publication does seem a little unfortunate – especially considering the al-Assad regime has recently gone out of its way to harshly crack down on any democratic stirrings in Syria. The article’s fawning treatment of the Assad family and its portrayal of the regime as tolerant and peaceful has generated surprise and outrage in much of the Washington foreign policy community, which for years has viewed Syria as one of the most dangerous and oppressive rogue states in a region full of them, with the Bush administration dubbing it the fourth member of its “axis of evil.” Bashar’s Syria has invaded Lebanon, allied itself with Iran, aided such groups as Hamas and the Iranian Revolutionary Guard Corps, and, for years, ferried insurgents and terrorists into Iraq, where they kill U.S. troops and Iraqi civilians. But the worst behavior may be inside Syria’s borders, where a half-century-old “emergency law” outlaws unofficial gatherings and abets the regular practice of beating, imprisoning, torturing, or killing political dissidents, human rights workers, and minorities. Derek Lam, Thakoon Panichgul, Phillip Lim, Doo-ri Chung, Jason Wu, Alexander Wang, Richard Chai are among some of the most well-known names in fashion today. Even those who are less diligent about reading industry rags like WWD will recognize their names from widely publicized events such as the Democratic National Convention in which the future First Lady wore Panichgul’s raspberry and black floral silk dress or the Inaugural Ball in which she wore Wu’s white chiffon asymmetrical gown (beautifully!) or from two of the most popular fashion documentaries, Seamless (2005) and The September Issue (2009) in which Chung and Panichgul were separately featured. All of these designers, moreover, have won prestigious awards and recognition from the Council of Fashion Designers of America. This year – for the first time – all three awards given by the CFDA went to Asian Americans Chai, Wu, and Wang. But what conditions led to the phenomenon of the rise of the Asian American designer? And what does the success of Asian American designers have to do with Asian markets, Asian consumers, and Asian immigrant labor? Finally, is there such a thing as an Asian American aesthetic – if so, what is it? 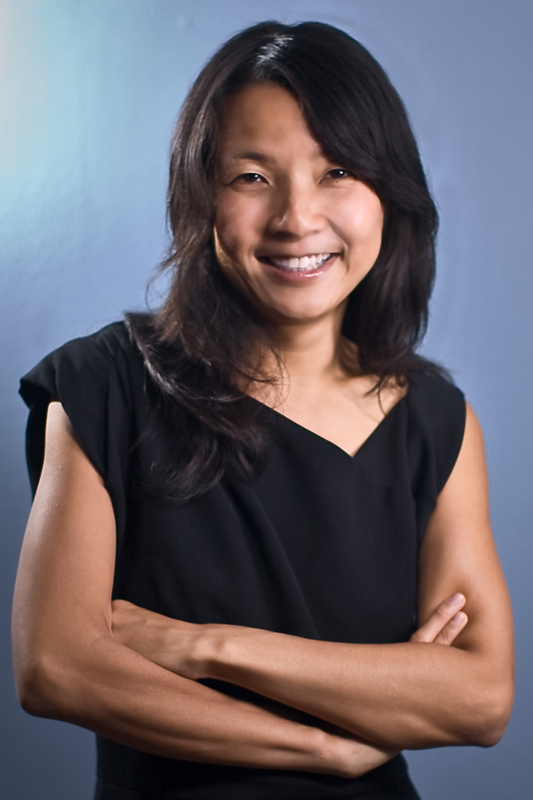 Throughout her book, Tu takes great care in tracing the complex tensions and intimacies between “a host of domains imagined as distinct”: Asian American designers and Asian immigrant sewers; transnational labor and consumer markets and local ones; and the symbolic and the material realms of fashion. As she points out, “The presumption of distance and disconnection has had the effect of obscuring the circuits that have always linked together culture and labor, material and immaterial, here and there.” The goal of Beautiful Generation is thus to tease out the institutional and informal exchanges and coalitions that constitute the art and practice of Asian American designers. The Beautiful Generation is divided into two parts. 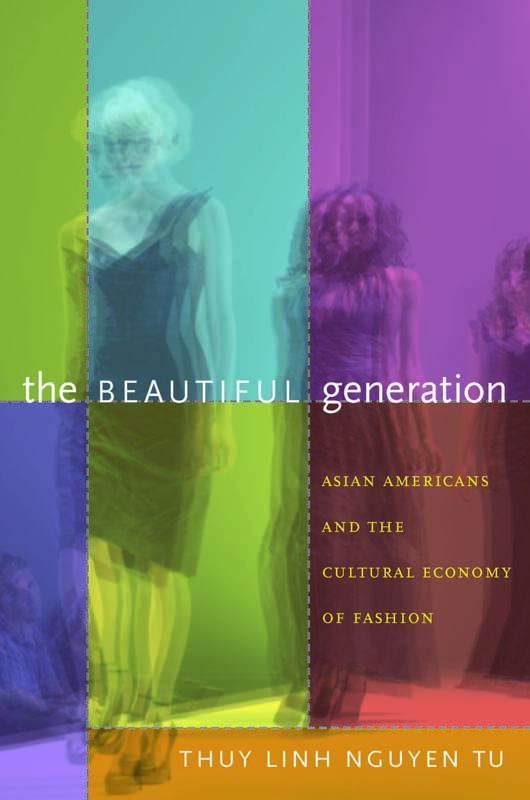 It begins with a study of the material production of fashion – how Asian American designers have come to fashion and how they understand its nature. Tu’s discussion draws from interviews she did with designers, design students, fashion curators, and fashion publicists over the course of eight years. What is revealed in her interviews is “an architecture and aesthetic of intimacy” between fashion designers and garment manufacturers that disrupts common understandings that pit these forms of labor as separate and distinct from one another. 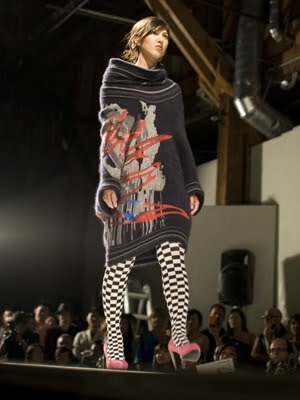 Asian American designers have been able to navigate the demands of the fashion industry in part by engaging in small, sporadic acts of exchange that allow them to access important resources and, in so doing, to transform what are usually considered market relations into intimate relations (of kin or culture) . . . These are acts of intimacy not just in the sense that they are private – though certainly they rely on and reconstruct the private domains of the family, with all its attendant problems – but also in the sense that they acknowledge proximity, contact, and affiliation between domains imaged as distinct. In the second half of the book, Tu shifts her attention from the material production of fashion to its symbolic production. 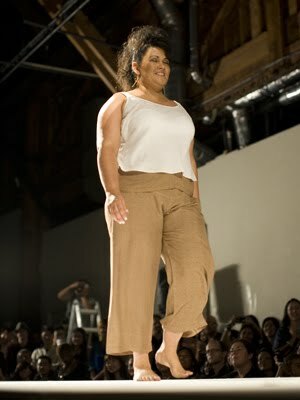 Specifically, she considers how the fashion industry frames ideas of Asianness. Analyzing more than 500 issues of fashion magazines published between 1995 and 2005, Tu argues that the aesthetic popularly known as Asian chic has fostered “in the fashionable public a sense of their distance from and superiority to Asia.” Tu contends, though, that Asian American designers who entered the industry during these peak years of Asian chic occupy a unique position. While Asian American designers certainly contributed to the production of Asian chic, they failed to hew entirely to its economy of distance, struggling at times to forge connections to Asia (and beyond) and to assert the types of transnational intimacies that it precluded. The author in 3.1 Phillip Lim. The scholarly field of fashion studies is growing by leaps but it still tends to separate aesthetic considerations from material considerations, design from manufacture, culture from economy. The Beautiful Generation shows us the fiction of these divides. More than that, it demonstrates how some designers have imagined “a world of intimacies” among designers, manufacturers, and government elites; political histories and cultural icons; and Asian diasporas and “other streams of internationalism” (a phrase Tu borrows from Lisa Lowe). It’s an absolute pleasure to recommend this brilliant, timely, and wholly approachable book to Threadbared readers! And it’s not just because we have buckets full of love for Thuy Linh N. Tu but because her book exemplifies precisely the kinds of critical discussions about fashion, culture, politics, and economies that Threadbared is all about. It’s Happening, Butterflies! It’s Happening! Our much-anticipated promotional giveaway of this fabulous book is here, is now! We’re thrilled to offer 3 lucky readers a free copy of The Beautiful Generation, courtesy of Duke University Press! To enter our drawing, leave a comment below telling us who your favorite Asian American fashion designer is and why – no later than Saturday, December 4. We’ll choose from commenters at random and announce winners via Facebook and Twitter on December 6. Good luck! 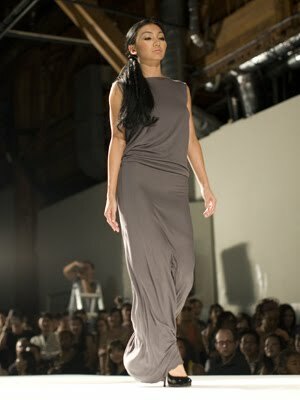 Here are some photos from the APAture Runway III show of “emerging Asian American designers” that we mentioned in a July post. I think the photos demonstrate the range of pieces shown – with some exceptions (more on that later) – as well as the diversity of the models’ body types. The event was at the SOMArts Cultural Center in San Francisco and is a fundraiser for Kearny Street Workshop’s annual multi-disciplinary art show in September. This is the second time I’ve been to KSW’s fashion show and this year’s was certainly more organized than the first year I went. 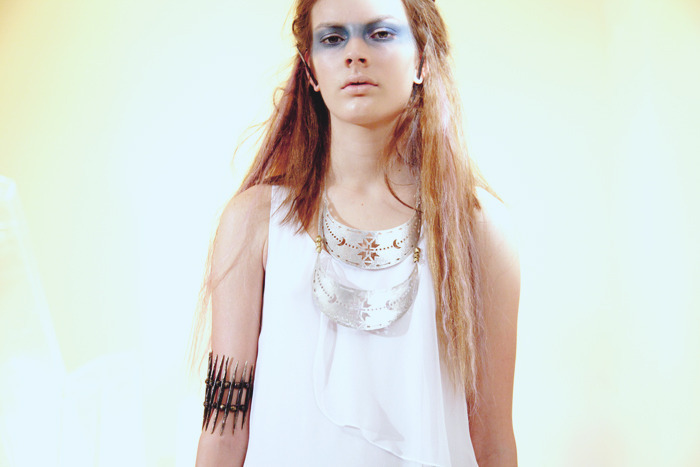 Also, stand out pieces from feature designer The Battalion were really impressive. But I have to admit that I was disappointed in the amount of time given to models walking down the runway wearing and/or carrying graphic t-shirts with Asian youth-oriented themes. (Sorry, no photos of that!) Nonetheless, to a very deserving cause the proceeds go! Copied from Kearney Street Workshop’s Calendar, pointed in that direction by the homesick-making style blog Fashionist. 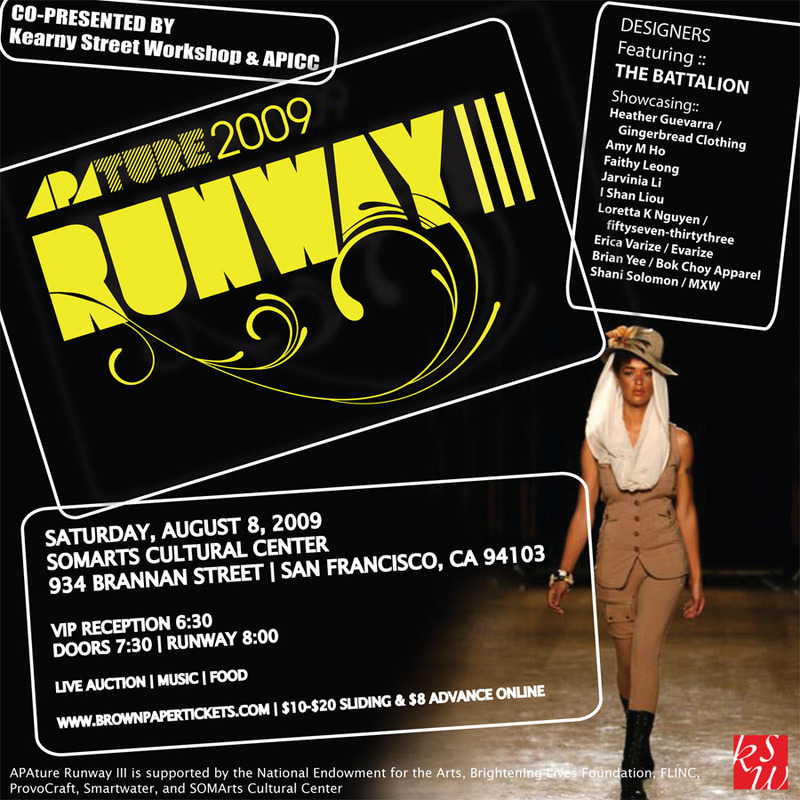 Attention local fashionistas – Be the first to experience fresh and eclectic collections from 10 up-and-coming fashion designers at APAture Runway III, featuring LA-based eco-couture designer Linda Wong of The Battalion. Our lineup of emerging Asian American designers includes Heather Guevarra (Gingerbread Clothing), Amy M. Ho, Faithy Leong, Jarvinia Li, I Shan Liou, Loretta K Nguyen (fiftyseven-thirtythree), Erica Varize (Evarize), Brian Yee (Bok Choy Apparel), and Shani Solomon (MXW). 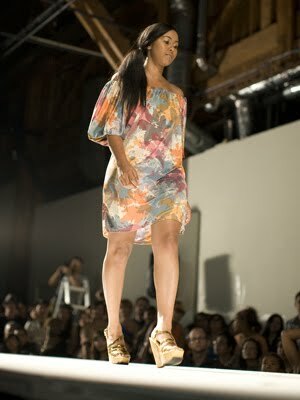 Take home clothes hot off the runway by bidding in our live auction of designers goods! All proceeds benefit KSW’s 11th annual APAture, a multidisciplinary arts festival of emerging Asian Pacific American artists, happening September 17-26.